I recently found out about an exciting expo taking place at Excel in London 15-16th June 2016. Elite Sports Performance Expo is a free to attend event aimed at those involved with performance enhancement, strength and conditioning and rehabilitation within sport. Not only is it the most interactive and comprehensive event for the European Elite Sports Profession, but it’s also a world first. This unique exhibition and conference provides a platform for elite sports clubs, organisations and athletes the chance to involve themselves in Europe’s largest sports performance exhibition’. The event already has some great speakers booked including Alex Wolf, Matt Lawson and Dave Wright. 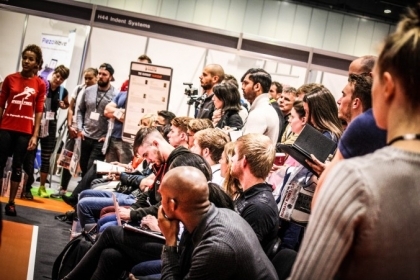 There is a 50 seminars taking place over the two days so will be a jam packed schedule. There is also a wide range of suppliers on site, this is something I am particularly excited about! One of the most interesting parts of the expo promises to be the live debates between industry experts. They will be talking about issues, questions and challenges that are currently prominent in the elite sports performance industry will be discussed. Keeping ahead of the game with the latest technology. Social media for the sports performance professional. The future of sports performance. Getting athletes back to their peak faster… and keeping them there. This promises to be a great event and I for one am looking forward to it! For more information or to book tickets visit the Elite Sports Performance Expo Website.